Lucite® is a high quality acrylic product. The versatility of Lucite® allows it to be custom designed into a variety of shapes and sizes, incorporating many different types of embedded elements. However, due to chemical reactions during the process, not everything can be embedded. Here's the top of a champagne bottle (removed with a sword) cast into Plexiglass by a factory. The process starts with two basic ingredients, an acrylic resin powder and monomer, a crystal clear liquid. The powder and monomer are mixed together in specific proportions. The result is a thick, opaque liquid. The mixture is hand poured into molds and allowed to partially harden. Objects to be embedded are then hand placed into the Lucite® layer. Another layer is poured over the embedded object and the Lucite® is again allowed to harden. Heat and pressure are applied to the parts to remove any air bubbles and completely harden the part. Parts are then sanded to size then buffed by hand to a bright crystal-like finish. Sounds simple? You need an AUTOCLAVE to actually cast the Lucite or Plexiglass materials. Unfortunately, these chemicals are not available in a DIY shop or to the general public. Then again, not many of us have autoclaves in the kitchen. No, a toaster oven duct-taped shut won't work. So - a lot of us turn to polyester resins - clear casting resins that emulate this process of clear casting of plastics - and embedding in plastic. I have successfully cast certain bugs that decided to enter my office or my garage - but I probably "cooked" even more by putting too much catalyst in the resin mix. The problem with casting "organic" items in resin is that they contain water and when they warm up as the plastic is turning to a solid - they expand. Putting catalyst into polyester casting resin activates the molecules to form a solid. A pretty neat trick. But to do that, the temperature must be raised. Trust me, this can get out of control and you can start a fire with too much catalyst. But when you put something organic - like paper, flowers, crickets and the like, the water in them will go gaseous and muck up your casting. Pennies, rings, teeth are more stable and you have more successes. The shapes you see in these pictures are cast ACRYLIC shapes that are standard - and that can be used for embedding items into by a factory - not DIY stuff (sorry). Remember, always try this FIRST on something similar. Write down the ambient temperature, and the amounts of resin and catalysts. When casting in layers, let the layer beneath cool before adding another layer...until you are skilled and learn to adjust the catalyst downwards for the next layer. Casting resins are not UV stable so make sure you don't put your cool new casting in the sunlight. Please, I would like to know if you can help me to resolve this problem?...maybe the temperature or the % os the mixture is wrong!! Hey Alex - I will send you some information by email. Some trade secrets are involved. I am considering starting an art furniture operation (making bigger items than awards, paperweights etc out of a clear acrylic or perspex type material). I want to embed a fairly wide range of items in them. I understand that much of this is not DIY but would like to get a better handle on just what could be acheived with a minimum investment in pressure ovens, autoclaves etc etc. In addition, is there anything that can be done to UV or weatherproof the articles as I intend for some of these to be used outdoors? Any assistance in this regard would be much appreciated. I am shopping for appropriate equipment to make large scale acrylic embedments. I will be trying to embed large ojects for a final size of 1/2 cubic meter. Do you mind guiding me so that my investment for the autoclave specs and other processing tools would be appropriate to fulfill the described purpose? I'm starting a business of acrylic embedments in Poland but I don't know what is the best pressure in an autoclave and what is the best temperature. I know that the mixture of polimer(powder) and monomer(liquid) is in 60/60 or 70/30 proportions. Could you help me somehow? 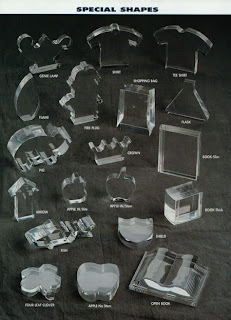 I am starting a business of cast acrylic in Indonesia. I do research on my own to find for the best mixture proportion, but until now I did not find any desireable result. 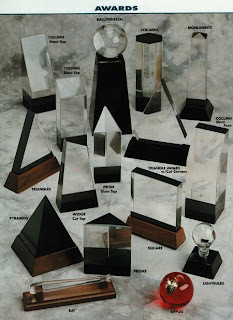 I need to start a business for making embedded acrylic trophies, I saw a documentary on Discovery Channel of the process, but I am not very sure about the names of the materials. Can you help my by giving names of chemicals: Polymer & an acrylic resin powder and monomer. I run a business manufacturing building materials in Chennai, India. We are planning to now start manufacturing acrylic panels with embedments and other related products. I am trying to understand the technical aspects of the process including the mix ratio of the powder polymer and the liquid monomer, the autoclave temperature and pressure, how to avoid bubbles in the acrylic and other dos and don'ts. Could you please enlighten me on these details. Thank you very much. I had a question that I hope you might be able to suggest a solution for. I am wanting to cast a metal fishing lure in a clear material like resin so that it can be protected from the weather. I was wanting to put it on my father's grave because he was a fisherman. Do you know how I might be able to do that? I'd like it in a dome shape and even thought about asking someone to put it in glass. This is Tommy from Korea. Let me introduce myself and company is as following. Firstly my company is one of AD companies in korea. We have just started embeded business from this month. I just have an autoclave machine which i have ordered from Taiwan. There are almost nothing information everywhere even though in internet but yours. 1. Same as other people that after work with autoclave it still remain the bubbles. 2. Could you please share your knowledge and know how? Even very simple one? 3.some kind of raw materials such like MMA and powder can be get from in your side?? Its so hard to get it in my side. I mean in korea. Its so newly product for Korean AD market. could you please supply us?? Due to inconvenient routing for buying. The Taiwanese bought it through U.S. It makes 2times shipping charge and taxes occured for me. Thanks for read long email. Unfortunately not anywhere that we know of. The art of casting in acrylic is a closely held process/formula. Hi, Any idea how to embed a drop of foil into lucite? Is this in liquid form? What is the "foil" material?